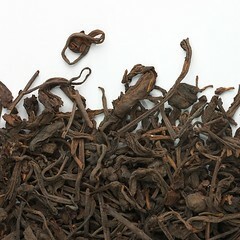 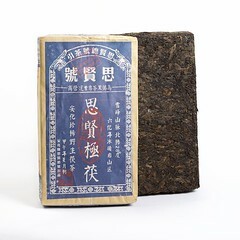 Coming from South West China, this tea from Guangxi is in the form of thin leaves, dulled over the last 35 years. 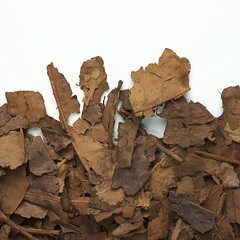 Its liquor, dark and clear, has a soft substantial texture with comforting aromas of root vegetable (potato) and autumn leaves. 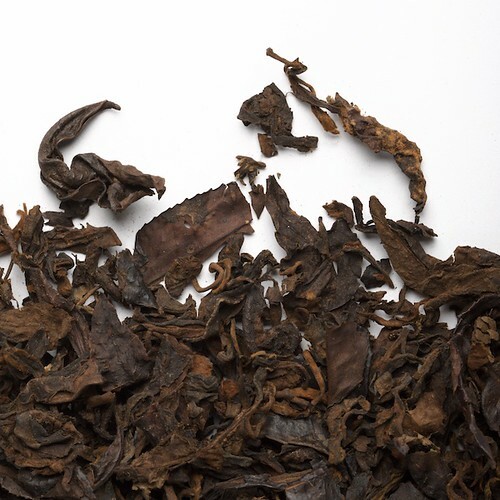 Nuances of leather and spice (fennel, white pepper) adorn the tasting of this tea that unfolds gently and smoothly. 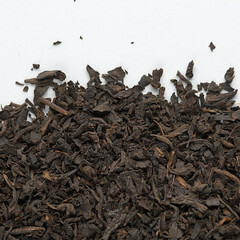 A tea which encourages relaxation!